New book, 566 pages. Dutiful daughter, frustrated wife, passionate lover, domineering mother, doting grandmother, devoted friend, tireless legislator, generous patron of artists and philosophers - the Empress Catherine II, the Great, was all these things and more. Her reign, the longest in Russian Imperial history, lasted from 1762 until her death in 1796; during those years she built on the work begun by her most famous predecessor, Peter the Great, to establish Russia as a major European power and to transform its new capital, St Petersburg, into a city to rival Paris or London in the beauty of its architecture, the glittering splendour of its Court, and the magnificence of its art collections. 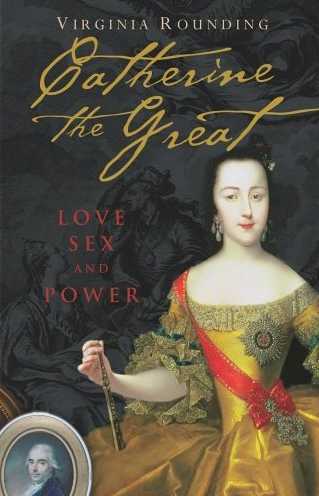 Using many of Catherine's own words from her voluminous correspondence and other documents, as well as contemporary accounts by courtiers, ambassadors and foreign visitors, Virginia Rounding seeks to penetrate the character of this most powerful, fascinating and surprisingly sympathetic of eighteenth century women. This item was added to our catalog on Thursday 30 October, 2008.